Christmas is coming, and it's time to get stuck into preparations for Christmas goodies. I recently made Chocolate, Fig and Ginger Fruit Mince using this recipe. It is now maturing so that it is ready to fill some yummy shortcrust pastry cases for fruit mince tarts. Chocolate Fruit Mince is new to me, so I am looking forward to tasting the end result. My friend J and her husband, S, were visiting Melbourne recently. They had been going to go to the cancelled Stone concert at Hanging Rock, but those plans obviously changed. It did give them the opportunity to eat at a few Melbourne establishments that they had been wanting to try out, and one of those was Tonka, in the CBD. Tonka has Indian/ South East Asian fusion style cuisine. They are crispy parcels filled with spiced potato, mung beans, date and tamarind chutney with aromatic water. They were surprisingly refreshing. It all looks amazing! Unfortunately, I had to go back to work and leave them to it. This week's French Friday with Dorie recipe is Beatrix's Red Kuri Soup. 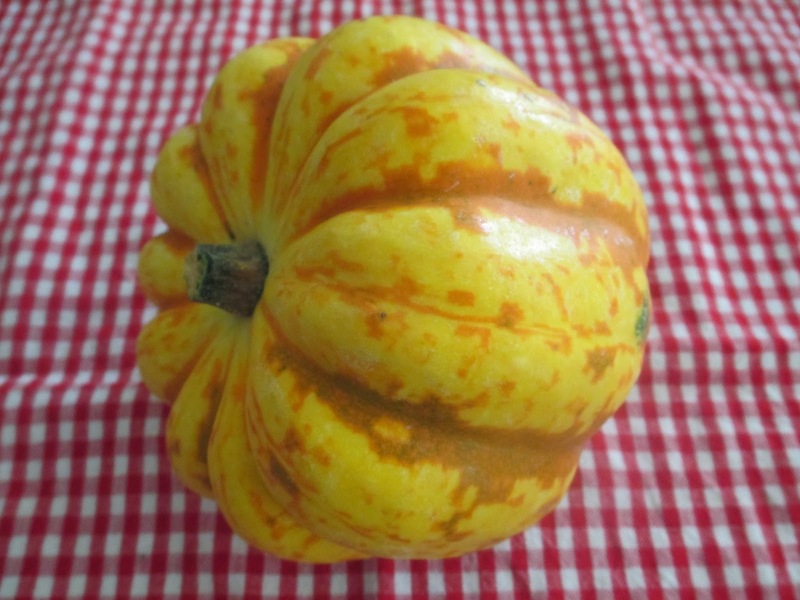 One big issue is that I could not, even during the autumn/winter, find a Red Kuri Squash. You can buy the seeds online here, but it seems that unless you grow Red Kuri Squash yourself, you can't acquire one. The skin stays hard, even after cooking, so when you process the soup, you gets hundreds of tiny gritty pumpkin skin pebbles all through your soup. Needless to say, that no matter how pretty my pumpkin, and how lovely the colour of the resulting soup, this was not a hit with me. To see how Doristas who found a Red Kuri squash went with this soup, visit the LYL section of the website. Today is Thanksgiving in the US, so to celebrate with my US readers, I have made Pumpkin Bread with Cream Cheese Frosting. The pumpkin bread recipe is here. Instead of pumpkin pie spice, which is not sold readily in Australia, I used a teaspoon of ginger and a quarter teaspoon of cloves. Also, canned pumpkin is hard to get and very expensive here, so I made my own pumpkin puree. Instead of using the caramel flavoured buttercream from the pumpkin bread recipe, I made cream cheese frosting using this recipe. I adore pumpkin baked goods, and I would definitely make this again. Last night I saw the movie A Long Way Down at the British Film Festival. It is about four people who meet at the top of a building known colloquially as "Topper's Tower", who were there separately on New Years Eve to top themselves. However, they make a pact not to do the deed until Valentines Day. The movie is a little more uplifting than this premise sounds, but it reminded me of the above words from Ruby Tuesday - that we should catch our dreams before they slip away. All of that has nothing to do with this week's Wednesday with Donna Hay dish, Pad Thai, chosen by Margaret. The recipe is from p133 of Modern Classics I, but is also online here. This dish is simple enough to make. Donna says to use shrimp paste, which I did - but boy, does it stink. It is a bit of a turn off and I have no idea what to do with the rest of it. However, the Pad Thai tasted good, shrimp paste and all. For our second Baking Chez Moi TWD recipe, our assignment was Cranberry Crackle Tart. This tart comprises a shortcrust shell, filled with a layer of jam, and topped with meringue mixed with fresh or frozen cranberries. A lot of people at work complimented me on it, which rarely happens because I bake so often, so this recipe obviously hit the spot. To see what the other TWD bakers thought of this recipe, visit the LYL section of the website. Recently, The Age Good Food ran a piece on Karen Martini's new cookbook, and published her recipe for red velvet cupcakes with marshmallow frosting. Now, these little cupcakes looked so cute that I had to make them - and besides, red velvet is always a hit. My frosting doesn't look like the photo, but then again, food stylists have a way with their subjects that I cannot hope to match. I found the frosting quite sticky and therefore not that easy to work with. These cupcakes were good; however, my favourite red velvet cake remains that of Libby Summers, with its moist decadent cake topped with cream cheese frosting. However, these were fun to make, and tasted good. Yesterday, I went with Vanda, Sandra and Lee to Paris to Provence, a French Festival held in the grounds of Como House, South Yarra. Believe me, this was packed within a couple of hours. There were craft and homewares stalls, and then my favourite - loads and loads of food. All in all, it was a fun and fabulous day. Christmas is nearly here - I don't know how the year passed by so quickly, but it did. It's time to start thinking seriously about your Christmas menu, and of course, your Christmas bakes. I got organised and made my Christmas cake in October so that it can mature before Christmas. This year's Christmas cake recipe comes from Dan Lepard via The Guardian - a Caramel Christmas Cake. The recipe is online here. The word "caramel" had me in immediately with this cake. What's not to like? The fruit component is currants, raisins, prunes and glace cherries. This makes it slightly cheaper than fruit cakes with the full range of glace fruits. The cake was a dream to bake, and came out looking and smelling beautiful. I won't be cutting it until Christmas, so I can't give you a peek inside, but I think the outside is persuasive enough. If you need more convincing, just read the first paragraph of the recipe - it's got caramel in it! Are you baking a cake this Christmas? This week's French Friday with Dorie dish was a bit of an enigma - Storzapretis. 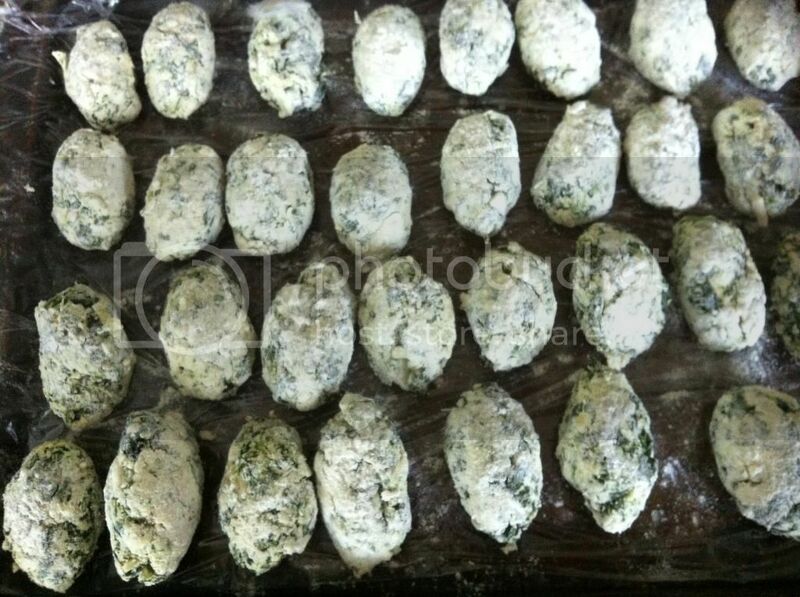 I had no idea what this was, but Dorie has helpfully subtitled it as Corsican ricotta and mint gnocchi. It looks like a splodgy mess, but it tastes great! I was worried about the mint, but it somehow went with the dish. To see what the other Doristas made of Storzapretis, visit the LYL section of the FFWD website. As regular readers will know, I have an eye for the unusual, so when I was asked to make chocolate cake, I wasn't going to make any old chocolate cake - it had to be different. The Clandestine Cake Club Cookbook stepped in with a recipe for Chocolate Cake with Marmite Caramel Buttercream. You can find the recipe online here. This cake is very tasty, if a tad sweet because of the frosting. I made only half the frosting which was sufficient to do the cake. The trick with the frosting is to work with it fast because it sets up quickly - I ended up moulding it around my cake rather than spreading it (which works just fine, in case you were wondering). If you have chocolate cake fans to please and want to add an element of mystery to your creation, try this cake recipe - it's good. For Wednesday with Donna Hay this week, I selected Donna's Balsamic and Tomato Roast Chicken from p99 of Off the Shelf. At the time it seemed like a good idea, then I didn't want to make it. 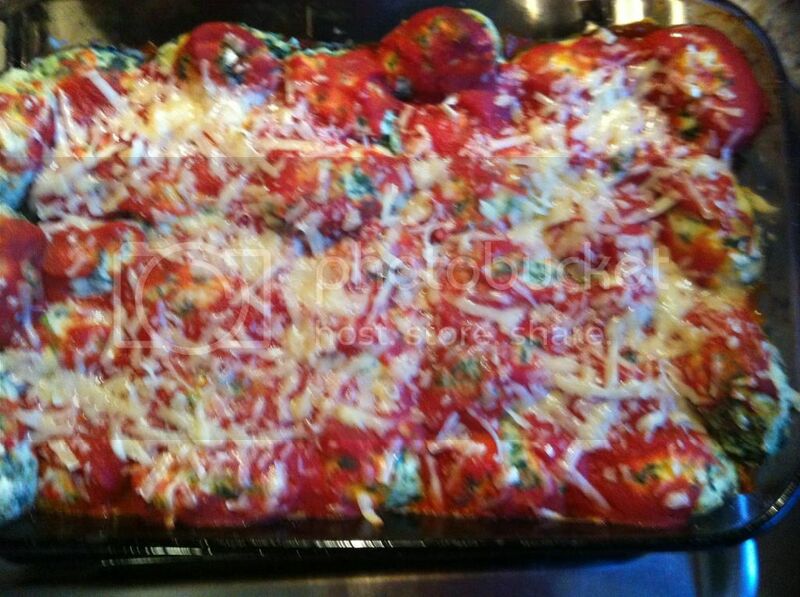 However, I am glad that I stuck to my guns and I did make it, because it was delish! This dish could not be simpler to make. You can find the recipe online here. Donna suggest serving this dish with an arugula salad - that is not my thing, so I served it with stir fried veges instead. Nom! My fellow WWDH cooks are Margaret, Chaya and Sarah - go see if they made it too. I was in awe of Mick's voice and flexibility at age 71, and of Ronnie's glittery red shoes. Yep, that's her singing into a sunflower, not that you can see from the photo. The pretty lights struck me, as did Katy's many costume changes - just like a real life Anime feature. Loved that movie - it makes you laugh and cry, and it features David Tennant - what more could you want? This cool Union Jack mini was in the foyer of Como to celebrate the Festival.